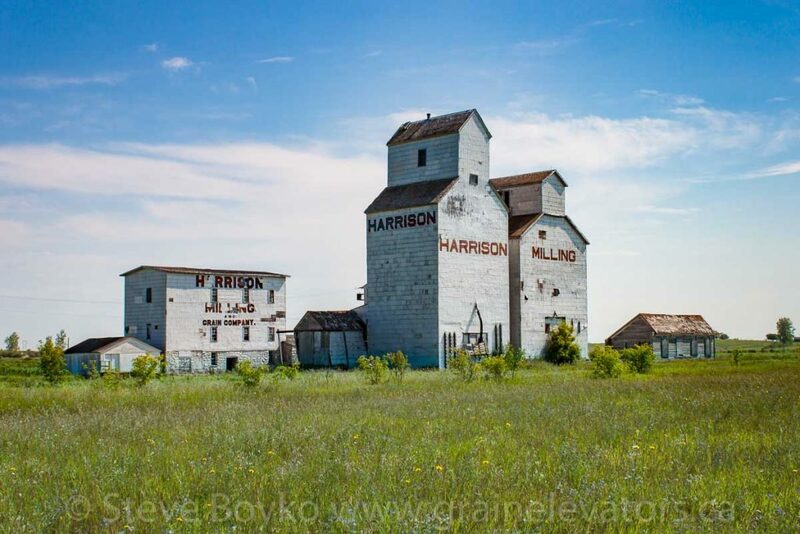 Harrison Mill and grain elevator in Holmfield, MB, Aug 2014. Contributed by Steve Boyko. 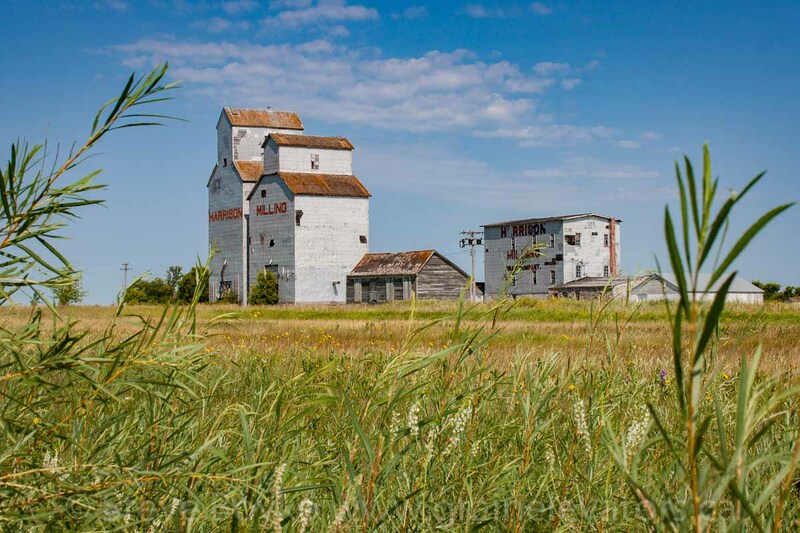 The Holmfield grain elevator pair at Harrison Milling are part of a unique site in Manitoba. The flour mill (the two story building on the left of the photo above) was built in 1897 by brothers William Salt Harrison and George Harrison. 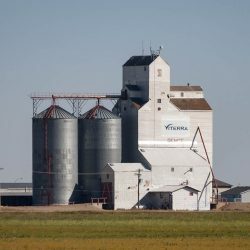 The larger elevator was built by Harrison Milling in 1926 to replace the original built in 1892. The smaller elevator is the former Federal elevator, moved there in 1955 from its former location slightly east of its current location. 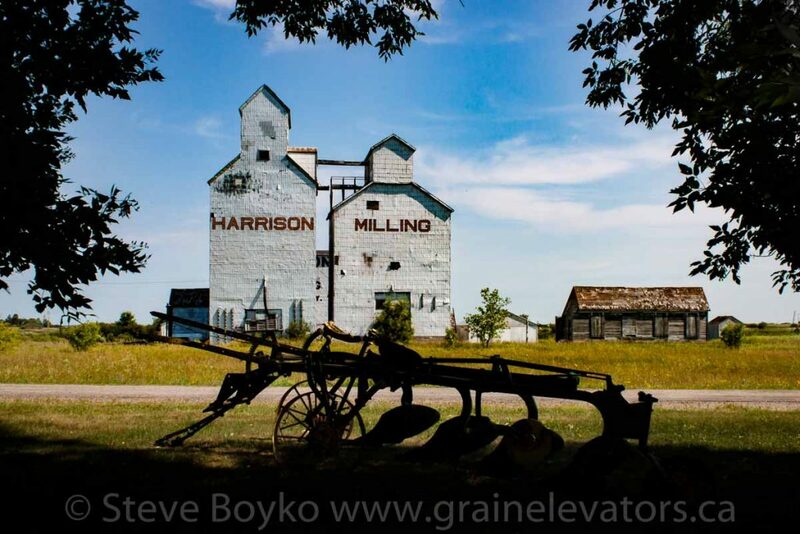 Grain elevator at Harrison Milling in Holmfield, MB, Aug 2014. Contributed by Steve Boyko. The one-story stone warehouse, just visible to the right of the mill in the above photograph, was built in 1899. The mill operated into the 1990s and is reputed to be the oldest flour mill in western Canada. I was fortunate to meet one of the two brothers who own the facility, and he told me the history of the elevators. Please note that the facility is private property. Do not trespass. These photos were taken from a public road in the town. 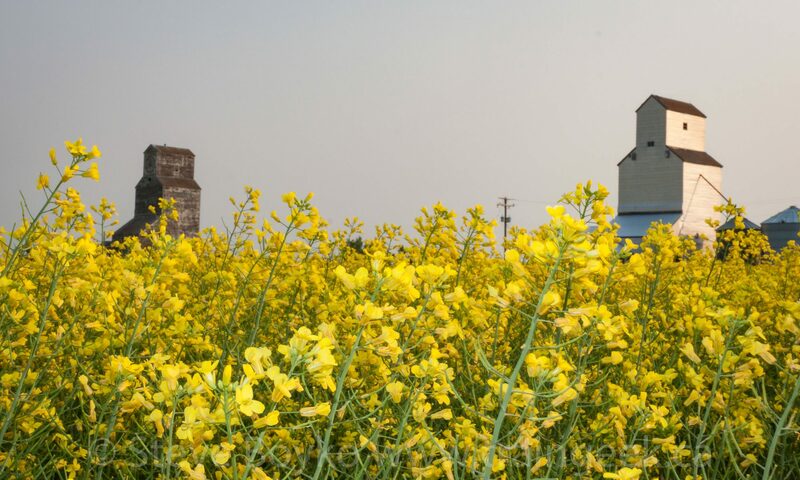 Grain elevator in Holmfield, MB, Aug 2014. The Canadian Pacific Railway came through Holmfield around 1892 on the line to Boissevain and Deloraine.. Most recently this was known as the CP Napinka subdivision. 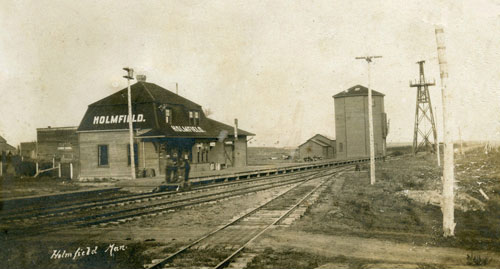 Holmfield, MB train station and water tank, circa 1906. The Canadian Northern Railway had a railway line through Holmfield as well, between Winnipeg and Waskada. This was acquired by CN and became the CN Wakopa subdivision. C.P.R. 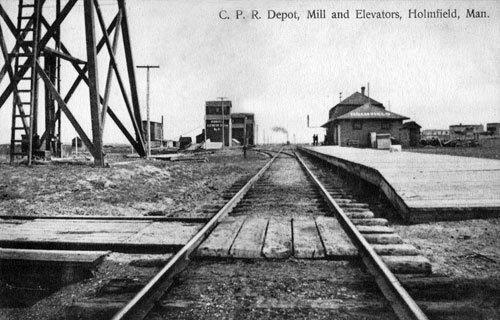 Depot, Mill and Elevators, Holmfield, Manitoba. The CN and CP lines crossed each other at a 90 degree angle just east of what is now route 458. Access to the diamond was initially controlled by a guard tower, and was later mechanically interlocked. There was an interchange track between CN and CP that could hold 11 cars. 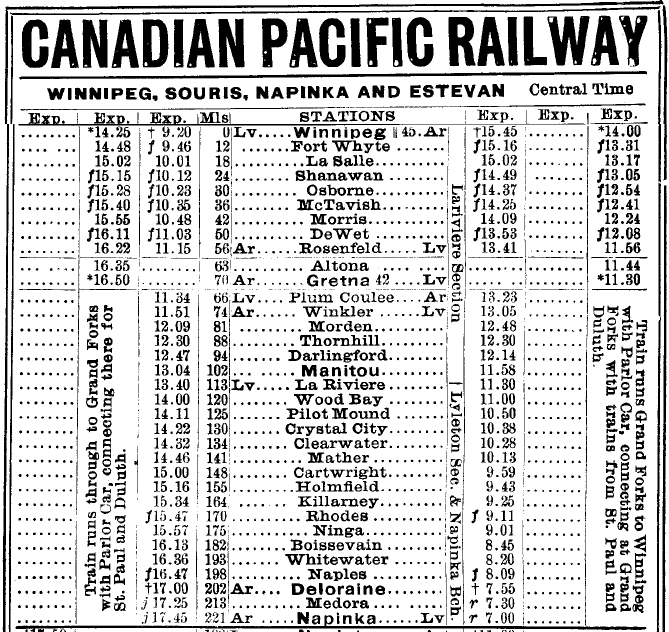 In 1907 one could take a train from Winnipeg at 9:20 AM and be in Holmfield at 3:16 PM. The CN track was abandoned in 1961.